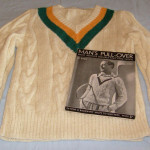 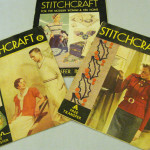 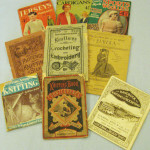 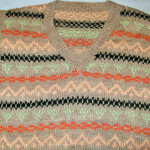 Joyce owns an extensive collection of knitting patterns dating from 1817 to the present day. 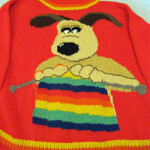 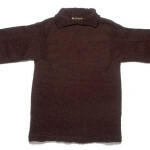 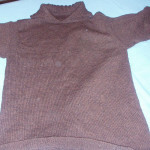 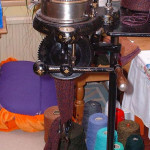 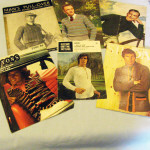 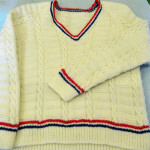 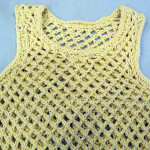 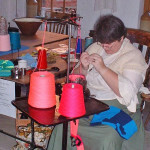 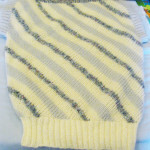 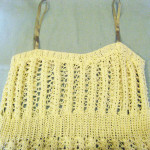 She has knitted clothing from many of these patterns, and some examples can be seen below. 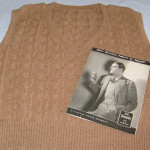 As well as being of historical interest, many of Joyce’s historic garments have featured in films and TV programmes. 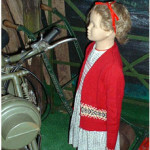 ‘Make do and Mend’ jacket from World War 2, this was originally a boy’s blazer on which the arms had worn out. 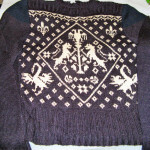 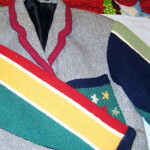 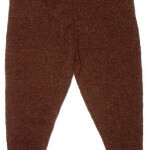 Replaced with knitted sleeves made from oddments of wool, it was adapted to be worn by a lady. 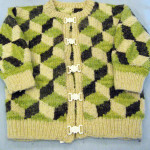 Child’s cardigan with a cubic design by renowned knitting and textile designer Kaffe Fassett whose work is currently on display at the American Museum, Claverton near Bath.